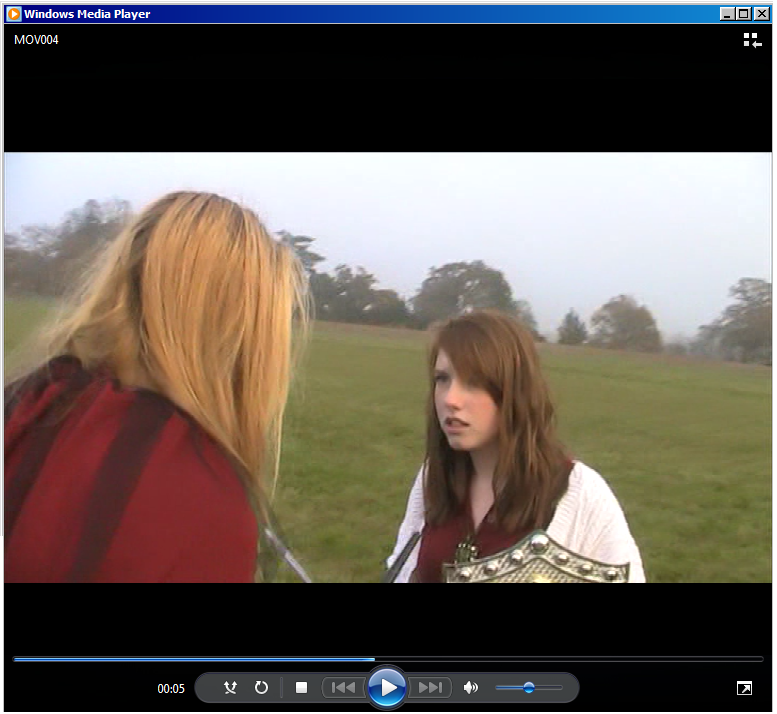 For my film trailer, I have produced the storyboards and directed the filming myself. 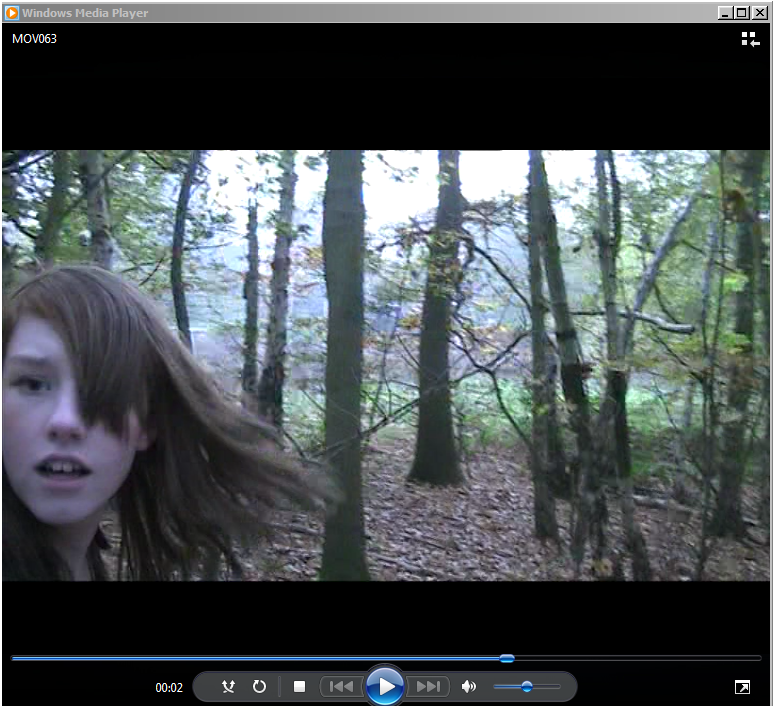 Here are some of the main shots from my film. 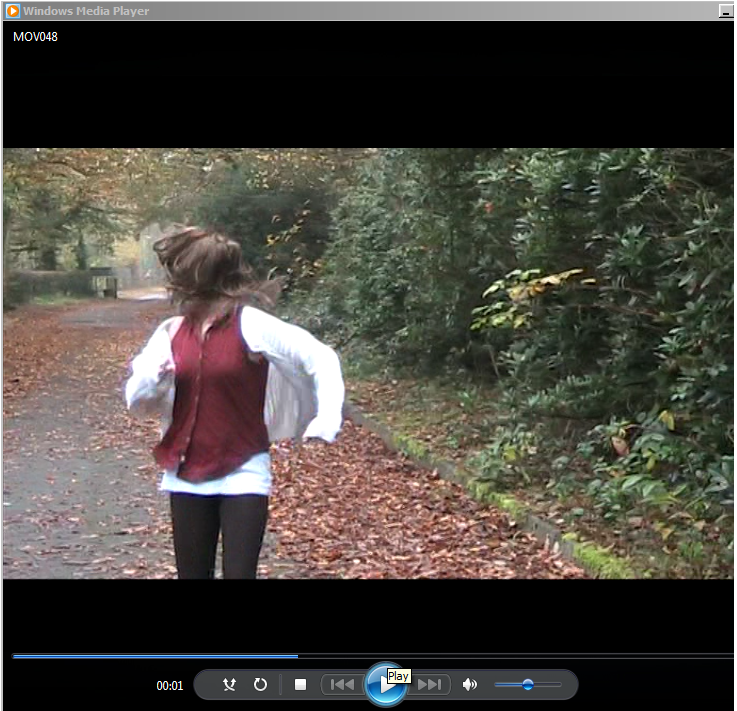 The first image is my main character running and is the first shot of the trailer. 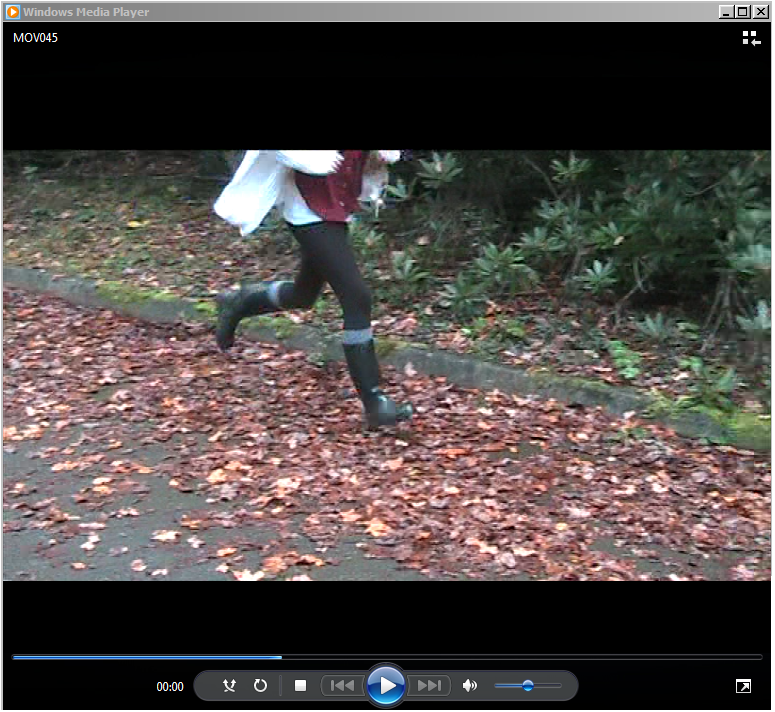 I have focused on the bottom half and her legs to show she is running and I thought a tracking shot would be a good way of introducing the film. For this particular section I used a tripod to ensure the followed movement was steady. The shot below is a close up of my characters scared facial expressions. I have made this a slow shot as she walks away from the camera and as she is moving, her hair sweeps round to make it more dramatic and gives the shot a more tense atmosphere. The next series of shots were from the same take. I decided to use a 36O degrees shot that circles the Villain and heroine from the film to suggest they will have a confrontation. To create the shot below, I layed on the ground with the camera looking up to make it look as if she is standing on top of a cliff and throwing the necklace off it. 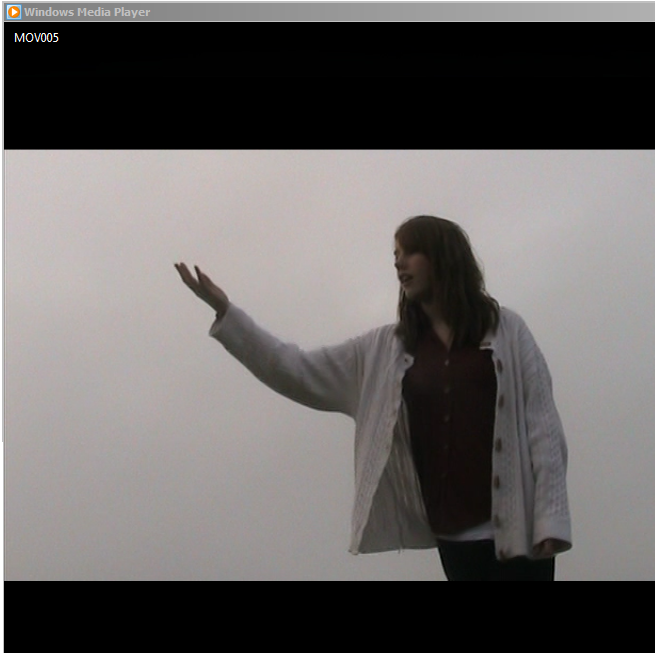 I believe this was successful as it did create a sense of her being somewhere high up and the day when I had chosen to film was fairly windy, It caused her hair to move which helped create the intended effect. 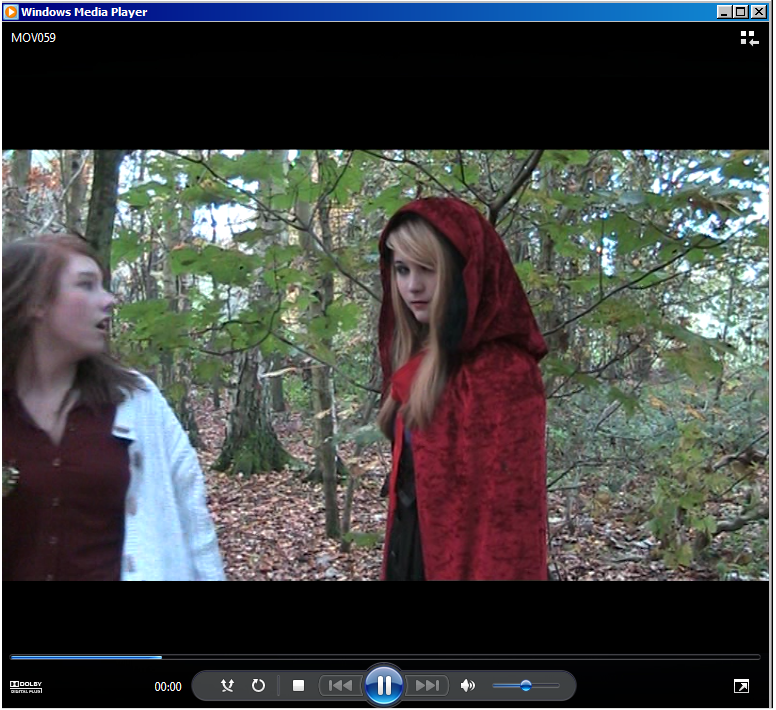 I have now filmed my film trailer and I think it went quite well however after watching it back, even though I feel I have managed to include a range of shots like it has asked me on the checklist, there is a point where I have accidentally filmed some unwanted things which are in the background like bags and a tripod, where I have rotated my camera around my characters to create a confrontation; so I will need to deffinately cut that out. I have used a tripod to support my camera and to make sure I don’t have a ‘shakey camera’ as this is not the type of film I would like to create and plus makes it much more professional. 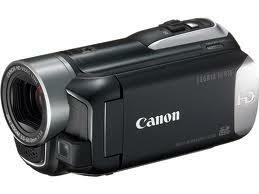 The Camera i used was one of the Canon video cameras. I found it quite easy to use but it required me actually looking at the instructions to know how to use it properly. I enjoyed the filming part of this coursework and playing director for the day but it was deffinately hard work and I found out some problems such as trying to find the perfect shot and the positioning of the camera. 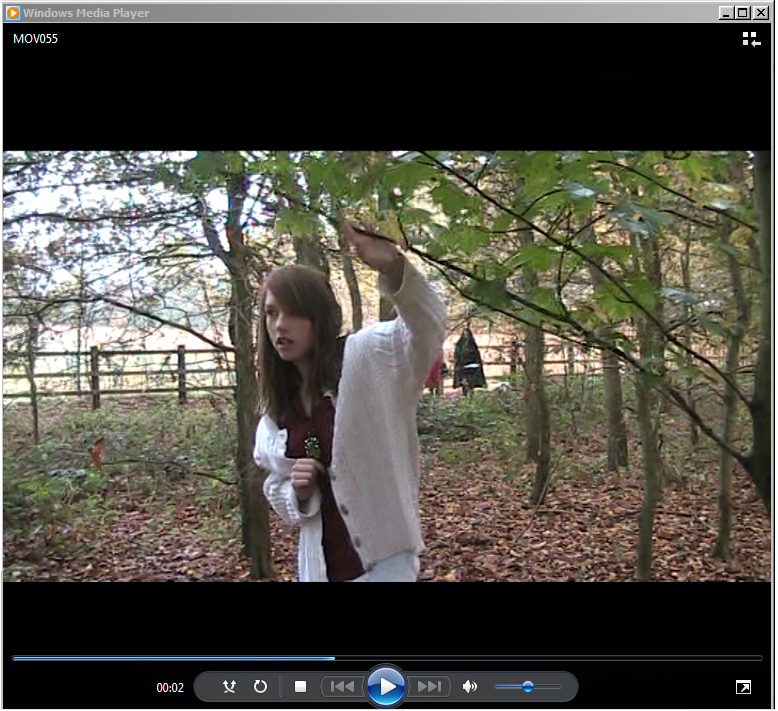 I had to also do quite abit of tracking by following my characters to get the tracking shots. 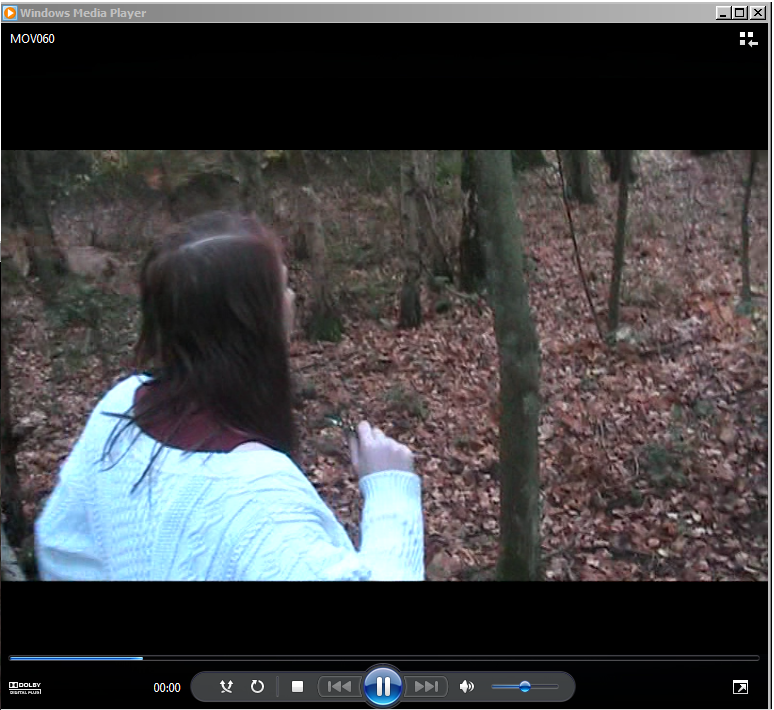 Hopefully it will end up the way I imagined it and able to get in some good effects off the Adobe premier pro software. Above is a helpful link to an AS Media Studies Book. Even though I am an A2 student it explains in detail about each step of creating a film trailer and all about the production and planning stage. It also lists the basic shooting rules, different shots and options in editing such as Fade and Dissolve. Now I have completed all analysis on the existing film promotions I am going to look into the ideas I have on mise-en-scene, shooting/editing styles and fonts for text and titles. Mise-en-scene is an expression used to describe the design aspects of a theatre or film production. It refers to everything you can see such as set, props, costume, actors performance and lighting and also includes the positioning or movement. Costume: The clothing that is usually worn sometimes depend on the film because most films in the genre consist of complicated and exaggerated costumes where others are more modern. Most of the clothing will probably be dirty, ripped and sometimes blood stained due to a situation in the film where the characters have come across the villain and take part in a fight or been on a journey of some sort. 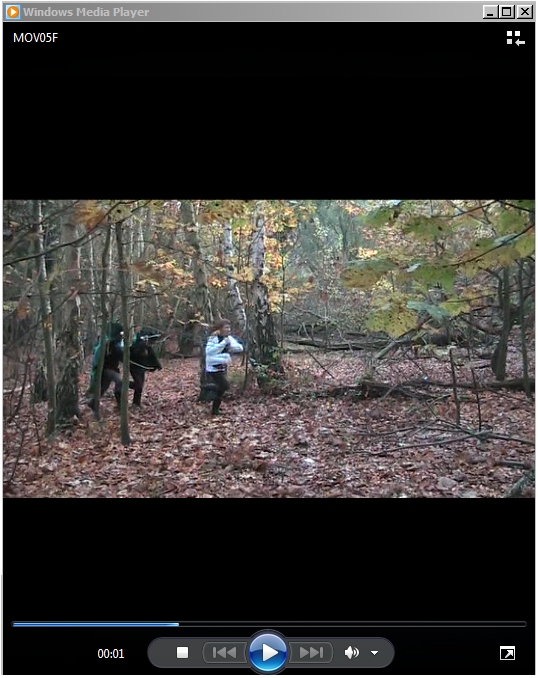 Location: The location of a film always depends on the directors own artistic vision but they sometimes have similar ideas such as the use of a make-believe land or world. Harry Potter is based on Witches, Wizards and magic so the use of a dark, mystical forest and a big castle is the primary setting which shows us that it’s a fantasy film. They are usually inhabited with unusual animals and monsters which will be difficult to create in my own. The scenery is always a breathtaking beach or winter forest and judging by the weather when I finally get to film I would like it to hopefully be sunny so I can get effective lighting. Lighting: Whilst viewing trailers I have taken note that the lighting is sometimes quite dark with a lot of low-key lighting or bright and mystical. The Moon and Sun is a big key element in lighting when filming something that is outside as it makes things seem more mysterious and can create good shadows or silhouettes to make it more atmospheric. Props: The items I notice in the genre are wands, broomsticks, long staffs, guns and swords that all aid in developing and giving power to a character. The more adventure sub genre would use props like this to cause harm to other characters especially when the directors incorporate a battle scene. Another item that could be considered as a prop is the use of a top hat that particular roles such as The Mad Hatter and Willy Wonka have. Font is the set of displayable text characters in a specific style and size. The types of font and writing styles are particularly important in showing the spectator the genre or who the product is meant to be targeted at. For example if the text was a floaty or curly font you would expect it to be aimed at a more female audience or even part of the Fantasy genre where as if it was a gothic handwriting style or the letters looked like they were dripping, it would be put in the horror section due to it representing blood. Good sites with these sort of fonts instead of the typical ones you can get on Microsoft word are http://www.1001freefonts.com. I really like the range that is available and most of them are free to download but I will need to look into more fantasy looking ones so that they suit my products. In order to get the most amount of knowledge about film trailers I am going to study the props used, location, costume, music and also the editing. Completing the research on these will hopefully give me ideas on the things that i will need to apply into my own film trailer whilst also considering the results of my questionnaire. I am firstly going to look at Harry Potter especially the most recent one as i feel that the fantasy conventions are stronger than the earlier ones in the series. Harry Potter is also a very popular series based on the novels written by J.K Rowling and Distributed by Warner Bros. The series consists of eight fantasy films beginning with the Philosopher’s Stone (2001) and culminating with Harry Potter and the Deathly Hallows Part 2 (2011). The film franchise is produced by David Heyman, starring Daniel Radcliffe, Rupert Grint and Emma Watson as the three leads. The Trailer isnt that long but includes everything that I would expect from the fantasy genre and a successful film trailer such as the sudden introduction to attract the spectator’s attention, clips, captions that you have to read and dramatic music. I personally like the music as it supports the quieter parts of the trailer. The conventions of the fantasy genre mostly surround the use of exaggerated costumes, mystical monsters and the supernatural. The clothing worn by Harry Potter is quite modern. Throughout the trailer he is wearing tatty jeans, a grey coloured T-shirt, a hoody and a brown jacket that appears to have holes in. This shows the journey that he has been on but the robes and the uniform is what we best recognise for Harry Potter. Being based on the magic of wizards and witches, the props play an important part in the series. 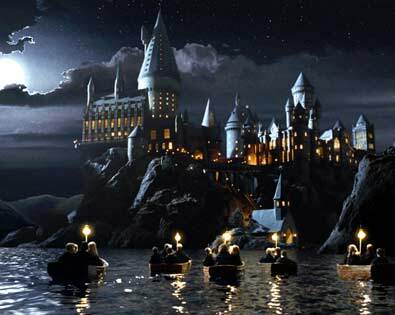 Wands, and broomsticks are regularly seen during the trailer when other characters are seen riding on them during the war at Hogwarts school. 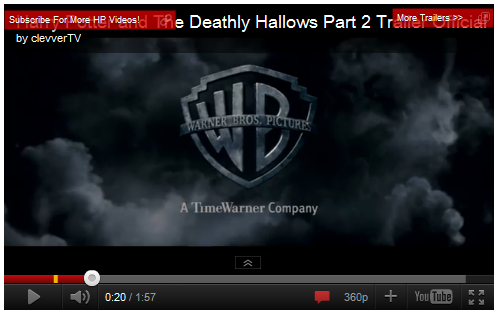 After the introduction a regular element in a Harry Potter trailer is the Warner Bros. Pictures logo which shows the audience who distributed it. Starting as a long shot the logo gets closer and closer to the screen pulling you in and then it becomes a more close up shot. The gloomy and dark background blends in with the logo to make it more part of the film. After looking at this existing trailer I am already receiving some kind of idea of what I would like to put into my own. Here is what I intend to do for my Film Trailer before research. I have included details on the key elements so I can get a rough idea of the things I will need to achieve the best possible grade. The genre I am thinking of using for my Film Trailer are either Fantasy or Horror as these are the types I think will be popular with the audience due to the recent and future releases of the new ‘Harry Potter’ and ‘Twilight Saga’ Films, although until after I have carried out my questionnaire I will then know for definite which things I will need to add or remove to make sure it is suitable. If I was going to create a trailer based on the Fantasy or Horror genre I would make it quite fast paced with quick key clips from the film to give the spectator a good idea of what it is about and what actors are appearing in the film. There will also be a dramatic voiceover whilst writing is being shown, maybe even being directed straight at the audience However again I will need to contact people through a research questionnaire to know what they like to see and what would be most effective. The most important elements are the obvious things that we can see in the film such as the costumes the characters are wearing and even the makeup. For a Horror film, the costume would be quite simple yet to make it quite scary it will need to have special effects or editing of colours created by hand or by using technology software such as Adobe Premier Pro. Whereas for a Fantasy film the costume could be a lot more complex depending on the story line and what will be in it. 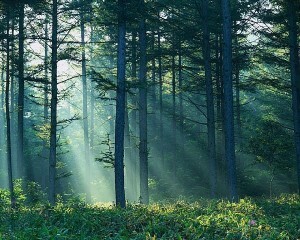 I will try to use quite slow, dramatic music which usually has an emotional effect on people. This could also persuade the target audience to watch it. To use a track that has already been produced by a known artist or composer I will obviously need for copy right reasons to contact the person via email, asking permission to use the piece of music to support my trailer. These are all the things I am going to apply into my coursework to make sure I produce a professional film trailer which successfully meets my target audiences expectations.